The sun is about to set in Etosha NP, Namibia. This lone gemsbok (Oryx gazelle) was the perfect subject for my last shot of the day. 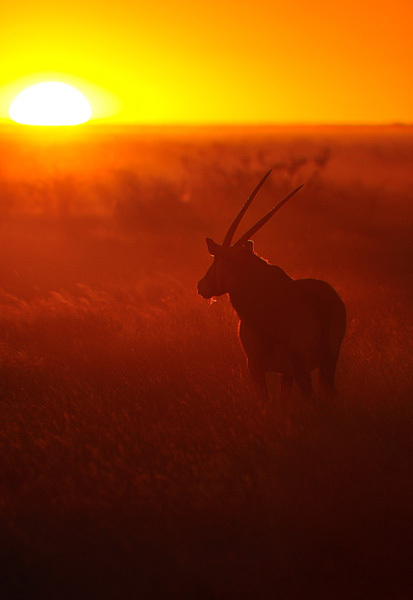 All oryx species prefer near-desert conditions and can survive without water for long periods. The horns are lethal weapons - the oryx has been known to kill lions with them.